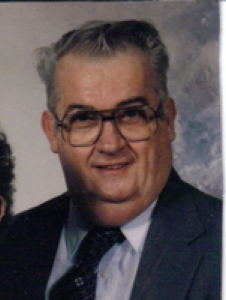 Franklin Lee Adam Neth, 64, 518 Wilson Ave., Sidney, Ohio died at his residence on Friday, January 5, 2007 at 8:05 AM after an extended illness. He was born March 3, 1942 in Sidney, Ohio the son of Jack and Ruby (Linniman) Neth and they are deceased. He was married on February 8, 1961 to Anna Faye Woodard and she survives along with three children, Rex Dwayne Neth of Sidney, Ohio; Ronald Lee Neth and wife Cheri of Minster, Ohio and Christopher Neth and wife Shelli of Sidney, Ohio; five grandchildren, Samantha Howe, Nicole Neth, Sara Neth, Danny Neth, Adam Neth; one great-grandchild, Michael Vincent Howe and two step great-grandchildren, McKaylin Howe and Damion Howe; one brother, Russell Neth and wife Linda of Sidney, Ohio; five nieces and nephews and several great nieces and nephews. He enjoyed fishing, playing cards and spending time with his family. He was a member of the Church of Christ, Port Jefferson, Ohio. He had worked at Copeland Corp. as an assembler for 37 years and retired in 2003. Funeral services will be held on Tuesday, January 9, 2007 at 1:00 PM at Salm-McGill and Tangeman Funeral Home with Patrick N. Kelly and Craig Martin. Burial will be at Graceland Cemetery, Sidney, Ohio. Friends may call at Salm-McGill and Tangeman Funeral Home on Monday, January 8, 2007 from 4-8 PM. Memorial contributions may be made to the Port Jefferson Church of Christ, Port Jefferson, Ohio. Envelopes will be available at the funeral home.